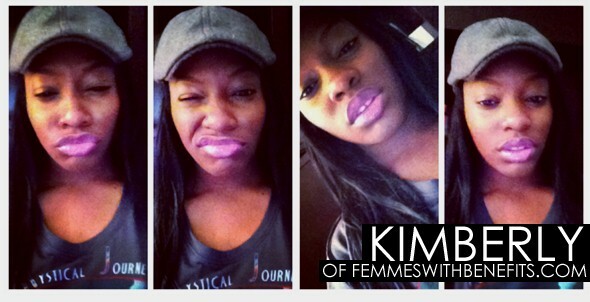 This is going to be my ultimate favorite article because I am featuring my FAV blogger… NO my Friend Kimberly from "Femmes With Benefits"..
Kim has an amazing shoe collection, which I am so Jelly about JUST because of her YSL obsession. 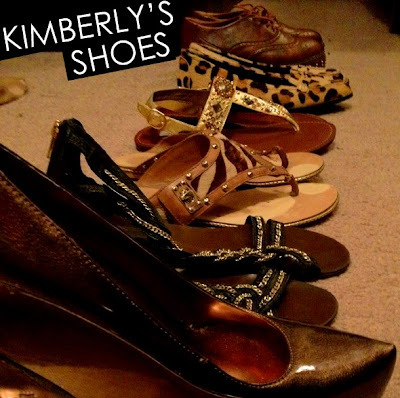 Check out Kim's article/shoe collection below and don’t forget to check her out over at FWB and tell her I said “Hello”……. 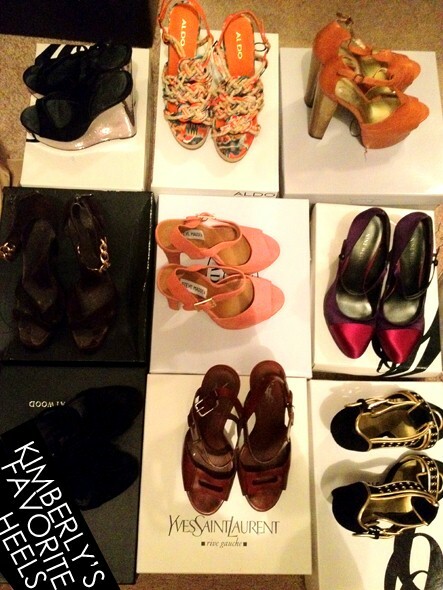 Oh yeah… Soraya and Asia… I’m waiting for your SHOES ladies!!! Tell me about your shoes? I don't buy shoes often but I did at one point. Now when I do buy shoes, I go for quality over quantity. I like shoes that are comfortable and that fit well. I only own about 2 pairs that are uncomfortable and I own zero pairs that don't fit. I've worked in shoes since 2005 and interned at Nordstrom in Designer Shoes for about 3 years now and one thing that I never encourage customers to do is buy shoes that don't fit and/or are uncomfortable because they'll never wear them. And, I too, follow this philosophy. I feel as if I have a great range of neutral and timeless pairs and I never really get to a point where I am like, "I have no shoes to wear with this". 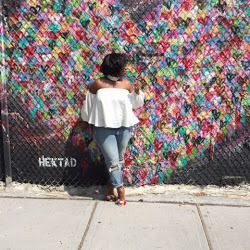 Quality, Fit, Comfort, & Timelessness are what I look for in any pair that I invest in. And if I just want a shoe for a particular trend then I'll go for something a little more inexpensive so that I don't feel too sad when it's time to pass it onto Salvation Army. June Ambrose makes a really great point in her book Effortless Style about shopping RIGHT for you. Remember ladies, always invest in staples and save on season samples. How many shoes do you own? What is the most expensive shoe that you purchased? All of my Yves Saint Laurents, they're my weaknesses and I can't do without them. What is your favorite shoe? My Nine West, Bugaboo sandals. They're so simple yet so comfortable and I get a lot of compliments on them. Unlike the rest of the Nine West collection-- Bugaboo's were made in Mexico using genuine leather. I've had them for like 7 years now and they are timeless and still look new. Nine West could have actually charged a couple of hundreds on that shoe, as many designers are using this same leather today for their lineups. It was by far, the best marketing decision Jones New York ever made for that mini collection (that only consisted of two sandals)! Oh and my Charles David Boots -- which are by far, one of the best tailored non-designer brands! Who is your favorite shoe designer and why? YSL, worth every cent. They're extremely comfortable and well tailored. You can definitely feel and see the quality. What makes them my favorite amongst other designer brands is their ability to fit wider feet. I find that beautiful brands such as Jimmy Choo, Chanel, etc., run quite narrow and don't really do me much justice in comfort. YSL is definitely a great brand for girls like me =]. SO MANY BEAUTIFUL SHOES! I love them all! Nice feature. I want some YSLs!